To all new members - welcome to EPCG. This is the home of State of Emergency and our members play many different games. Please take time to look over the forums and become familiar with the different sections. General chat about SoE belongs in the SoE General chat, help belongs in Help section, etc. DO NOT PM an admin to discuss your SoE server ban or questions about "How do I play this?" All info can be found by taking 5 mins to use the search function in the upper right or going to the perspective forums and look for your answer. Can't find the info? Post your concern in the proper forums. We have a public relations team if you must contact our staff, this is where you start. If they cannot answer your question or address your concern, the PR member will forward it to the correct person. As to ban appeals - this is a community. I can assure you that if your first post on the forums is a ban appeal, this does not look great. It shows that your not here for the community and to meet new people, make friends, and contribute. Your viewed as a fly through player and you won't make a great impression on the community when they see this. Be active here and you'll find plenty of friendly gamers that play a variety of games. Chances are, you'll find new friends to game with and enjoy your games that much more. 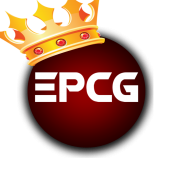 EPCG has a solid admin team behind them and we do our best to address all issues in a timely manner. With that said, please keep in mind that we have jobs, family, real life, and we'd like to enjoy our gaming time as well. Please use the staff chain of command, starting with the Public Relations team. You can save yourself from getting banned by reading and knowing our forum rules and our SoE server rules. Failure to read this will ultimately lead to your perma-ban without question. Another thing that will help you succeed in remaining here is common sense. If you have none, you might as well leave now before the members chew you up and spit you out. This is a mature group of players and respect is expected to the members and staff. We work hard to bring you a one stop place for your PC gaming time!